豆科 Leguminosae | | 黄花木属 Piptanthus | | 绒叶黄花木 Piptanthus tomentosus Franch. Piptanthus tomentosus Franch. in Rev. Hortic. 59: 474. 1887. id. Pl. Delav. 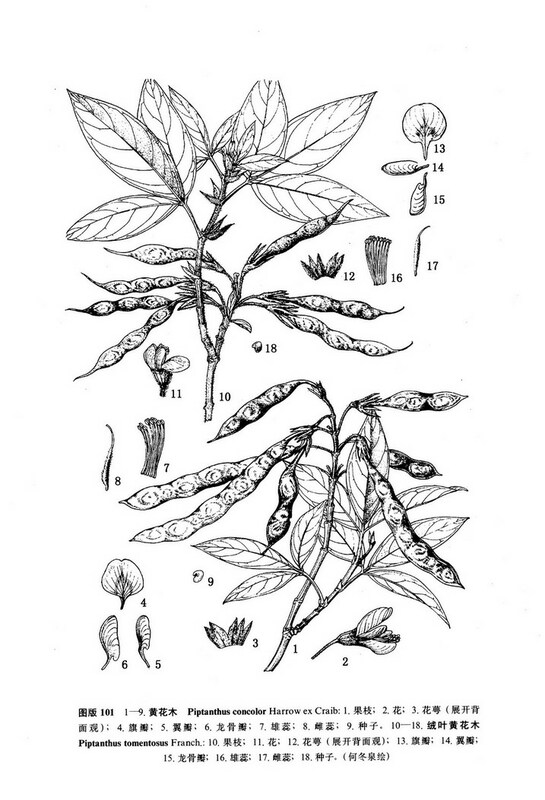 150: 1889; 中国主要植物图说•豆科156. 1955; Turner in Brittonia 32 (3): 284. 1980.